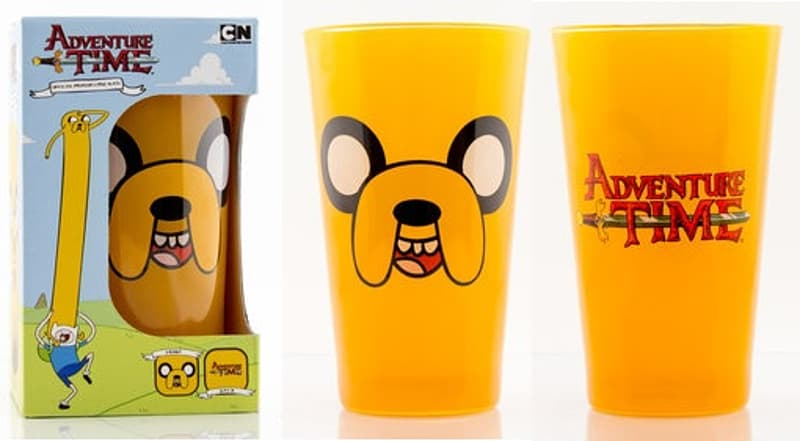 Adventure Time glass with Jake's face and logo. Live the Adventure Time experience in real life with this awesome Adventure Time Jake Face Premium Yellow Large Glass. Your friends will go green with envy as you show off your Adventure Time swag to them! This awesome product will definitely make a great addition to any Adventure Time collection.